Edward Wildman Palmer hired four students through the BBA Summer Jobs Program last year and the firm plans to do the same this year as well. As our readers know, the BBA Summer Jobs Program has recently set a program record, securing 59 paid internships at law firms and legal organizations across Boston (previous record was 58). This milestone is thanks to Boston area law firms’ dedication to community and underscores the BBA’s commitment to providing professional and educational opportunity to Boston’s youth. This year a number of legal offices, including Edwards Wildman Palmer, Goodwin Procter, Burns & Levinson and the City of Boston, Office of the Corporation Counsel, are making an even larger commitment to the BBA Program and Boston’s youth by hiring multiple students. We checked in with representatives from two of these firms to see what spurred their decision to take additional students, and the ways having more than one student benefits the office. Each summer, the City of Boston, Office of the Corporation Counsel hires two students through the BBA Summer Jobs Program. So there you have it, taking multiple students benefits both your firm and the Boston community. The BBA also takes multiple students, so if you have any questions about hiring more than one student, or are looking for suggestions about ways to engage your interns, we have plenty of experience. Please contact BBA Public Service Programs Coordinator Katie D’Angelo at kdangelo@bostonbar.org for more information. The BBA’s Summer Jobs Program is part of the City of Boston’s efforts to employ Boston teens in meaningful positions each summer. As our readers know, the City of Boston has always strived to secure summer jobs for Boston’s teens. In a recent Boston Globe article, Mayor Walsh stressed a new high water mark for the City’s Summer Jobs Program – to provide Boston youth with 12,000 jobs in the summer of 2014, a significant increase of the previous goal of 10,000 jobs. As a longtime partner of the City, the BBA and the sponsors of our Summer Jobs Program have stepped up to answer the call by hitting a record 59 positions and counting for Boston public high school students at law firms and legal agencies this summer, surpassing the program record of 58. ++This year the Boston Bar Foundation’s M. Ellen Carpenter Fund will be funding summer jobs for 10 Boston Public Highs School students at public agencies and nonprofits this summer. Learn more about the fund here. A Boston Community Leadership Academy student and a New Mission High School student debate during a Boston Debate League round. Photo courtesy of Boston Debate League. Though the 2013-2014 debate season is wrapping up, the fun isn’t over just yet. The Boston Debate League still has what might be two of the best events of the year on the horizon. Don’t miss a great opportunity to see the students in action and recognize their hard work this year. (1) Celebrate the debaters at the Spring Award at the Spring Award Ceremony on Thursday, March 27th from 6:00 pm to 8:30 pm. Join over 500 BPS students, parents, teachers, and BPS administrators as we celebrate a record-breaking year. Click here to learn more. (2) The fun doesn’t end there— join Mayor Marty Walsh and Boston City Councilor Charles Yancey for the 2nd Annual Boston City Council Debate on April 1st from 5:00 pm to 7:00 pm on April 1st, 2014. This is a unique opportunity to meet your Boston City Council members and see talented BPS students engage in a riveting argument over the merits of raising the minimum wage in Massachusetts. You can find more here. Beyond the Billable checked in with Sheryl Howard (Krokidas & Bluestein LLP), a former PILPer who is developing on the high school and middle school curriculum, to get the inside scoop on what to expect this year. Why did you volunteer to help develop the curriculum? 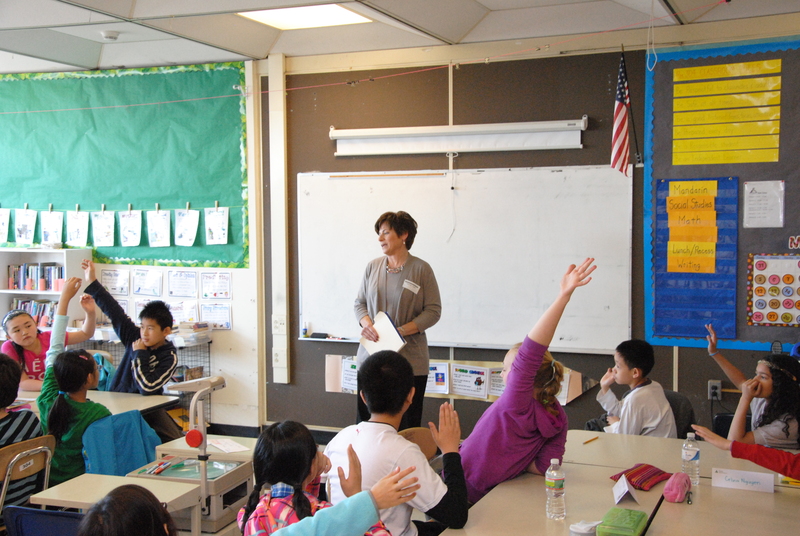 Why should attorneys volunteer for the Law Day in the Schools Program? Are you interested in volunteering? 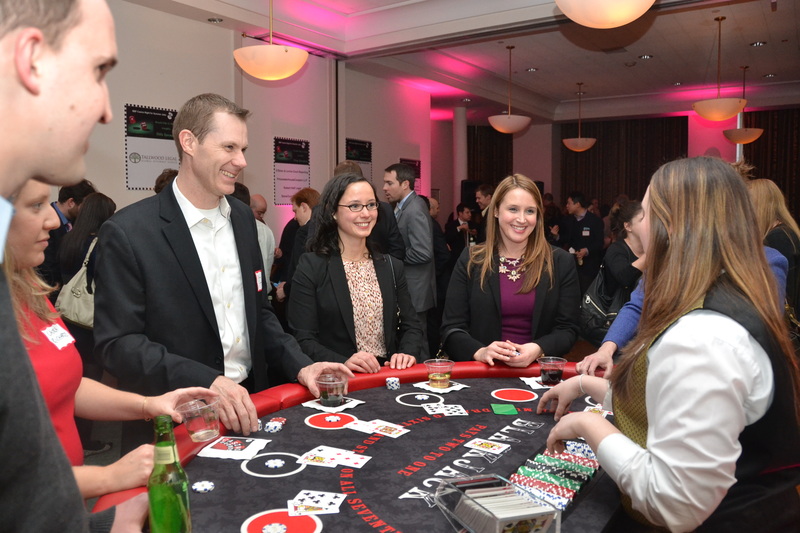 Contact Katie D’Angelo at kdangelo@bostonbar.org for more information. PIC career specialist Dan Cuddy worked with Myntah Morris to get a job at Burns & Levinson through the BBA Summer Jobs Program. Last year, Myntah completed her second summer at Burns & Levinson and served as a mentor for Lucy Pimental, another Brighton High School student who interned at the firm. As you may know from this announcement last week, the BBA will be honoring the Boston Private Industry Council (PIC) at the annual Law Day Dinner in May. Through a 21 year partnership, the BBA and PIC have worked together to place over 640 Boston public high school students in paid legal internships since 1993. Our program would not be possible without the support of the PIC. The PIC career specialists in each Boston public high school work tirelessly to select the best candidates for the program, help students with applications, and provide workshops to prepare students for their jobs. The BBA Summer Jobs Program, a significant effort in its own right, is only part of the PIC’s broader effort to open doors and give Boston teens valuable work experience. Last year, the PIC’s School-to-Career initiative placed over 3,000 students in a job or internship throughout the city. Beyond the Billable sat down with Dan Cuddy, a senior career specialist at Brighton High School and Another Course to College, to give you a closer look how the PIC and BBA work together to ensure a successful Summer Jobs Program each year. Can you describe the process for applying for the BBA Summer Jobs Program? “The PIC conducts summer job workshops after school starting in March to recruit students and advertise potential opportunities. As the Career Specialist for Brighton High School, I help the more than 200 students who typically attend the workshops by informing them of the summer job options and assisting in the registration process. 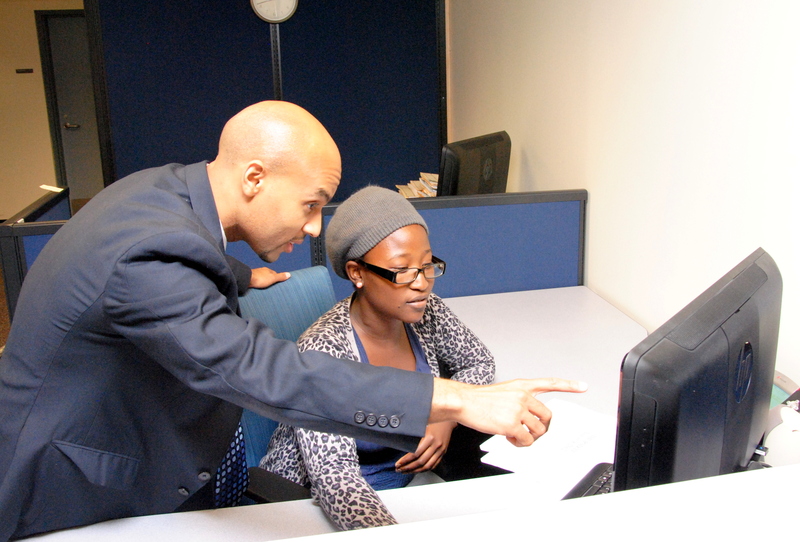 Career Specialists also review the sign-up lists and pre-screen students who are interested in applying to the Boston Bar Association Summer Jobs Program. We look for students who have attention to detail, strong academic performance, a passion for learning new experiences, and understand professional etiquette. Students should also have an interest in law, criminal justice, or the judicial system. What type of support does PIC offer the students to prepare them for the application process and their summer job? “The PIC works with students throughout the year to prepare for the coming summer and offers weekly after-school workshops in the spring to engage potential applicants. Why do you encourage your students to apply to the BBA Summer Jobs Program? “The best way to describe the benefits of the Boston Bar Association Summer Jobs Program is to quote my Brighton High student who has been working for Burns & Levinson for the past nine months as the result of an extremely successful summer internship. Brighton High School student, Lucy Pimental, started working at Burns & Levinson (a long-time supporter of the BBA Summer Jobs Program) last summer as a junior intern and describes the benefits of working at the firm as rewarding and challenging. She has to multi-task responsibilities in the Records department, Accounting department, and the Library. She has to be organized, detailed, and must communicate regularly with her supervisor. As a result of her internship at Burns & Levinson, Lucy is highly motived to become a lawyer and has maintained high honors to make that dream a reality. Lucy is thrilled to be working in a professional environment and works to impress her supervisor, Rachel Krasowski, who she loves working for during the summer and school year. It’s been a little over six months since the BBA’s Lawyer Referral Service adopted the Military Legal Help Line . If you remember, this past fall we announced the expansion of our Veterans’ Initiative, by transferring the Help Line, launching our CLE series on Representing Military Members, Veterans & Their Families, and leveraging the efforts by our Active Duty, Family Members and Veterans Committee. Since September 1st, we have received calls from more than 250 military personnel, veterans and family members. We successfully connected 65% more callers to lawyers and legal services than last year. Since developing a panel of qualified attorneys trained to assist with the unique legal issues facing this population, we have been able to help more clients. All of the attorneys on these Military & Veterans panels accept reduced-fee cases and are generally willing to provide brief advice at no cost to the veteran or military member. For more complex cases that members of our Military & Veterans panels are unable to help, we have been successful in finding other BBA members with specific expertise to provide assistance. These successes come at the same time the state is expanding its outreach to veterans by launching the second Veterans Treatment Court, this one in Suffolk County. The court began holding sessions at the end of January and is staffed with specially trained judges, clinicians, probation officers and attorneys. The Veterans Treatment Court will hear certain criminal cases where a link has been established between trauma caused by military service and the defendant’s crime. Can you help assist active duty military members with discharge cases? If you can or are an attorney who wants to help support the BBA’s Military Legal Help Line, contact Solana Goss at sgoss@bostonbar.org. 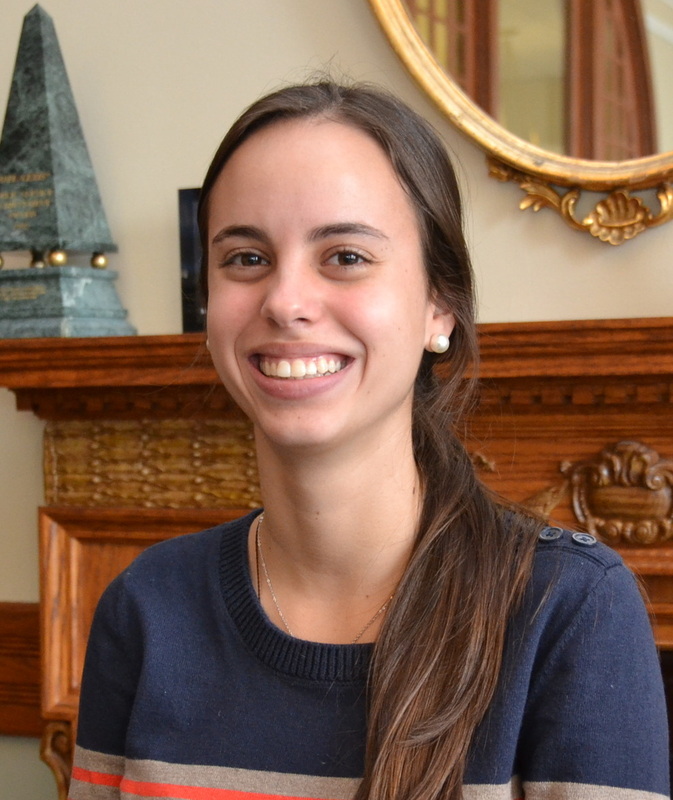 Guest Post: Samantha Odreman is the current Lawyer Referral Service Co-op Intern at the BBA. Born in Venezuela, Samantha is finishing her sophomore year at Northeastern University where she studies International Affairs. Last Thursday, I had the opportunity to go to Housing Court and found it a fascinating experience. I met with the attorneys who volunteer for the BBA’s Lawyer for the Day in the Boston Housing Court Program to help hundreds of landlords and tenants in need of a fair resolution. Over the course of the morning, I observed the people who entered the courthouse looking nervous and anxious begin to see the difference the volunteers were going to be able to make. After talking the attorneys, they seemed to calm down. Throughout the day, I watched landlords and tenants working with the volunteers to prepare their cases and get some answers. It was interesting to see that most landlords were big housing corporations with experienced attorneys, whereas tenants were mostly on their own. Inside the courtroom, most cases were sent to mediation and the rest were dismissed because one of the parties had defaulted. However, I was lucky enough to witness different hearings and see first hand the amazing work that volunteer attorneys do for their clients. After a very busy morning, Judge Jeffrey Winik, First Justice of the Boston Housing Court, invited a small group of us to the front of the courtroom to ask questions. He explained why he cared so much about the people who came to Court and the importance of the work he does. He is very much aware of how much power and authority the Housing Court has and the responsibility that carries. He works hard to make sure both parties get the best outcome. I really admire his commitment to people and his passion for doing things right. Going to Housing Court definitely made me see things from a different perspective. It is very hard to go through a situation where you could lose your home because you cannot pay or because someone did not pay you. However, it eases my mind to know that there are people who really want to make things work and are willing to make an effort, and I am glad there is a system in place for those who choose to do just that.